La Molina is a ski resort in the municipality of Alp in Girona. The temperature is about 1 to 17°C/33.80 to 62.60°F throughout the year, with February being the coldest and August the warmest month. 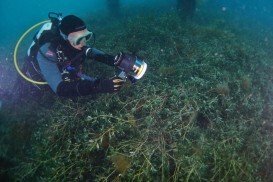 At the area of Cerdanya, it has been going on a great new activity, diving at high altitude like lakes, caverns and even ice diving. 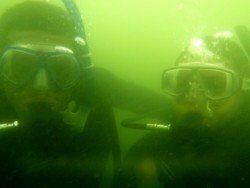 Cave diving is an extreme sport evolving scuba diving in mountain lakes always with the company of a qualified instructor. Mingle among skiers wearing your scuba gear, take the lifts to the lake, and after your dive, ski back down. 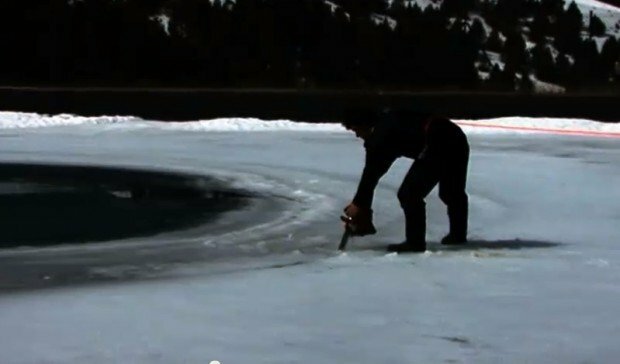 There are four artificial lakes located at between 1700 m/5577 ft and 2300 m/7545 ft, with a depth down to 15 m/49 ft. 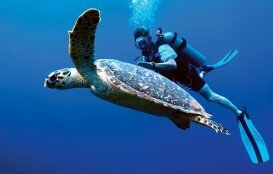 Depending on your expertise, you can dive at a certain depth for 40 or 50 minutes. La Molinas lakes are perfect for beginners. It’s an activity where safety comes first, due to high mountain altitude and the lake depth. 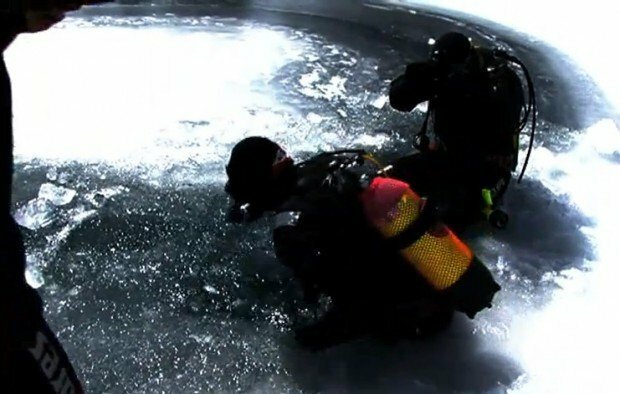 Whether the lake is frozen or not, there are organized dives for groups or individuals. Minimum age is 10 years old, and don’t require any previous experience. Training schools and qualified instructors will teach the beginner everything is needed for this kind of activity. There is also a big variety of services like playrooms, cafes, and mountain huts in the area. Rio Verde is a canyon for everyone, but this is not a reason to find it less spectacular or a lack of fun. Ideal to start in the world of canyoning. Situated right in the Sierra de la Almijara (Granada), its abseils, slides and jumps (some up to 14m are optional) will not leave you indifferent. There is no need of previous experience in canyons or technical knowledge in the use of the material. You will learn along the way how to descend the canyon safely while having fun. To begin this day full of excitement, you will be picked up from the meeting point and then you will get a light breakfast. After around 50 mins drive from the restaurant we start the briefing and then the activity. 30 minutes walking in amazing environment to reach the start point of Rio Verde canyon. Approximately 3.5 hrs canyon with rappels (up to 15 m), jumps (optional), slides (optional) and swim. You will reach the end point of the canyon and take a rest (and snacks) before having lunch. Have lunch in a rural, quiet and homemade food restaurant inside the forest. Then, time to relax before coming back to Granada. Description: This 3 km (1.8 mi) takes you through many breath-taking places, for more or less 10-15 minutes (approx.) 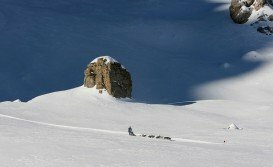 depending on the snow conditions can be longer or shorter tour. On your arrival you will meet your instructor, then it’s time to meet the dog and get seated in the sled and get ready for the ride. This activity will be placed in the Ski Resort of Grand Valira – Andorra. Our staff will be waiting for you and once you get ready your instructor (the “Musher” : the person who guides the dogs and takes the control of the sled) will give you a briefing and after that ready to run. as this experience takes place outdoors, it can be affected by extreme weather. If you are in any doubt then please call the center before heading off. Beginners level canyon that will test your physical capacity with about 5 hours journey. 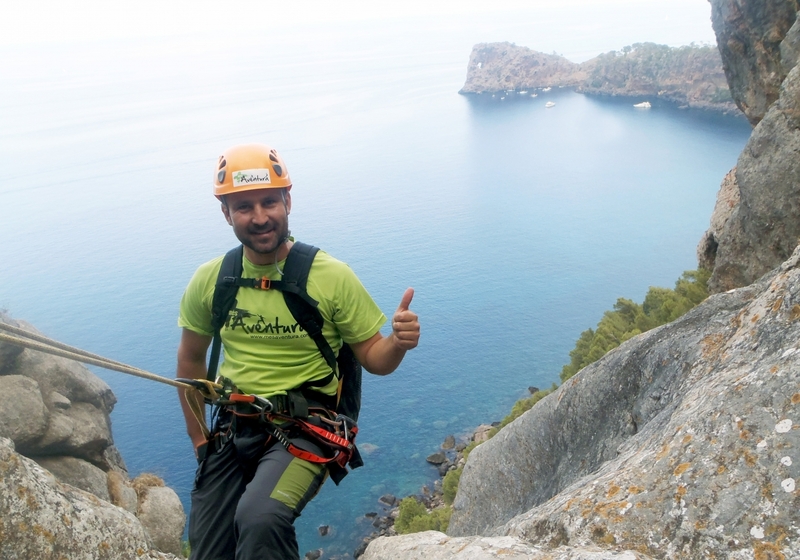 Lots of abseils in vertical environment makes this an ideal descent to improve your ability in the world of canyoning. No previous experience required although an average physical condition to face the 5 hours of the activity. To begin this day full of excitement in Lentegi canyon you will be picked up from the meeting point and then you will get a light breakfast. After around 1 hr drive from the restaurant we start the briefing and then the activity. 15 minutes walking down to reach the start point of Lentegi canyon. Approximately 3.5 hrs canyon with rappels (up to 27m), jumps (optional), slides (optional) and swim. You will reach the end point of the canyon and take a rest (and snacks) before having lunch. Have lunch in a rural, homemade food restaurant. Then, time to relax before coming back to Granada. Description: The activity will be placed in Llavorsí (Pallars Sobirà) and will be consisting in a half day of exhilarating white water on the Noguera Pallaresa river, rated amongst the best rafting rivers in Europe. You will receive your equipment, getting change in our facilities and the staff will transfer you to the beginning point to the descend. You will meet your instructor, the one will be accompanying you all the time in tour and give you a briefing on safety and Rafting techniques. Afterwards that will be the moment to brave the Noguera Pallaresa rapids, completing the route of 14km and finish the run in a village called Rialp. Mallorca has a great variety of canyons, with their own charm and a unique experience for those who practice canyoning, a dynamic and fun activity that varies depending on the dry or rainy season. Perfect for a day of adventure in Group! Approach, Return time and Requirements differ depending on the canyon. Ask for more information. Transportation and meals are not included. Equipment: jumpsuit, harness, helmet, gloves and glasses. Ascent in light aircraft to 4600 meters (15000 feet). Tandem parachute jump with instructor including a freefall of 1 minute. Parachute descent of 5-7 minutes. Option to add photos and video recording to your jump. Maximum weight 95kg (weigh have to be measured with clothes and shoes). Body Mass Index is also an important factor. Participants must have a BMI lower than 30. Please ensure you do not exceed this limit. Minimum age: 16. Participants under the age of 18 must be accompanied by both biological parents. If they are unable to attend, legal authorisation is required. Contact us to obtain the necessary documentation for these cases. Participants aged 70 or over must have authorisation from a doctor. Medical pre-declared conditions will require of Doctor´s approval as well. Ask for the document. Pregnant women are not permitted to jump. Participants must not scuba dive within 24 hours prior to the jump. you should arrive to the aerodrome with your own transportation (car or public transport). Description: The day starts off with a beautiful and scenic winter surrounding, and in a different manner, driving a Snow Mobile and feeling freedom. 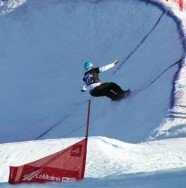 This activity will be placed in the Ski Resort of Grand Valira – Andorra. Our staff will be waiting for you and once you get ready your instructor will give you a briefing on safety, have some train before starts, and once you are comfortable with your SnowMobile, then is time to run. Description: This experience is a mixed of adventure for those who love gliding through the cool air in a different surrounding, mushing activity 3 km/1.8 mi and finishing with Snow-tubing activity for 40mins of joy, sliding down a snow toboggan and have so much fun. Always with a local instructor that shows us what the nature hides. 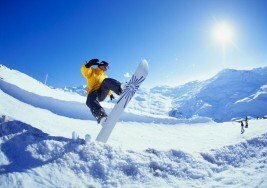 This activity will be placed in the Ski Resort of Grand Valira – Andorra. Our staff will be waiting for you and your instructor will give you a briefing and after that you will be ready to start the multi activity package. 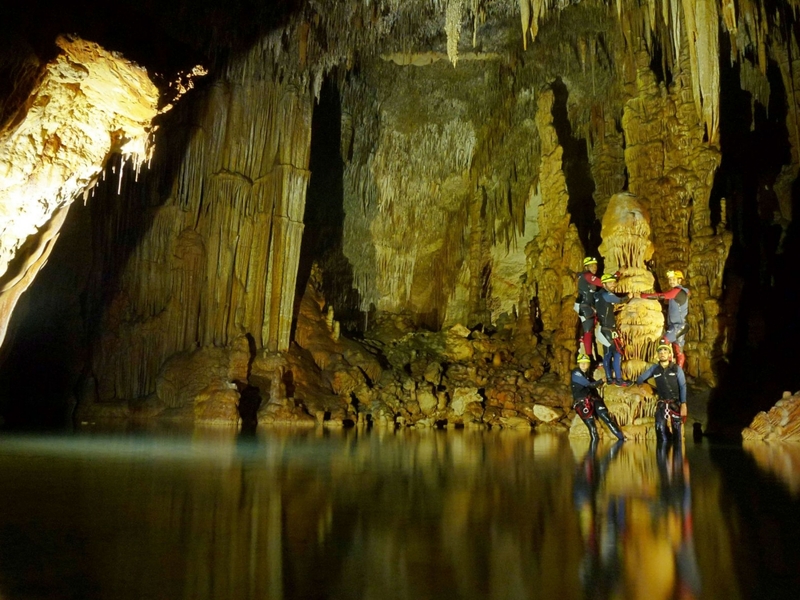 A complete and dynamic activity of Hiking, Abseiling, Climbing and Caving!!! The absolute number one summer activity! We hike for about 30 min, gaining access into the aquatic cave and abseiling 20 m ending up in the sea. We then follow a fun circuit exploring the amazing aquatic cave where we will swim and jump into the inland lake. Finally we climb 20 m on the way back. Description: This husky riding experience is for those who love to relax and enjoy the ride, without having to control the team of huskies yourself. You will be riding in a two-passenger sled. This 5 km (3,1 mi) takes you through many breath-taking places, for more or less 20 minutes (approx.) depending on the snow conditions can be longer or shorter tour. Description:This is going to be a unique and challenging adventure. If you have already experience on this kind of activity, we totally recommend this canyon level II through gorges that will involve you running down wet slabs of rock, jumps into pools of water scrambling up rocks and swimming through rapids, it makes our way down the canyon. A half day canyoning is a lot of fun and is usually done in areas of extraordinary natural beauty and provides a unique and challenging experience. This canyon in particular, located in the Gorge of Collegats in Pallars Sobirà is highly recommended. At the beginning of this activity you will start crossing the river Noguera Pallaresa, in Spring time helped with a rope, harness and felling a little bit like Tarzan passing through one side to the other side. Afterwards you will have an approach walking around half an hour until you get to the beginning of the canyon. The next several hours will be full of adrenalin as you swim through rapids, jump off cliffs, scramble up rocks and navigate huge waterfalls, for sure lots of fun. there are three different canyons on which this experience can take place. Some locations are more extreme than others and as such Age or Weight and Height restrictions may vary. 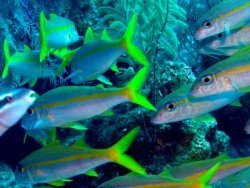 IMPORTANT: You should know how to swim to do this activity. 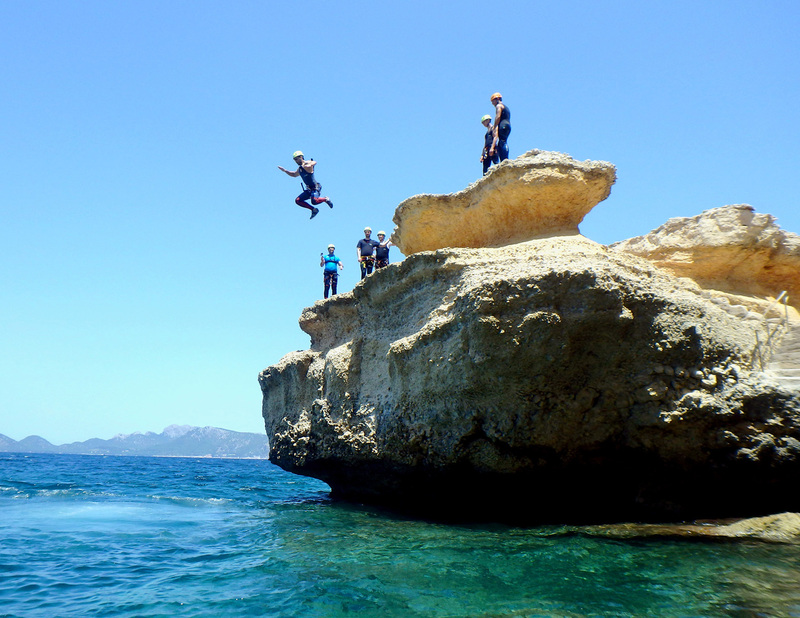 The Mediterranean coast is without a doubt the perfect place to enjoy coasteering with a group of family and friends!! A fun and dynamic circuit with jumping, ziplining, abseiling, deep water soiling, canopy, water caves, psicobloc, snorkeling… Just a fun and refreshing circuit in a superb natural environment!!! 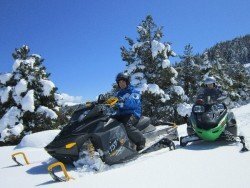 Description: The day starts off with a beautiful and scenic winter surrounding, aided by the moon’s glow, hop on a Snow Mobile for an exhilarating evening adventure through the forest depths of Grau Roig. Schedule: Our schedule runs from 7pm or 8pm depending on dates. River Rafting, Wind Tunnel Flying & Outdoor activities in Empuriabrava, Spain. July 2017-2018, August 2018, September 2017-2018. 3 Days – air travel not included. Description : This experience is for those who love hiking in a different surrounding. The half day tour with the snow shoes pretend to offer the best of the way, appreciating the beauty of the environment and the white snow under our feet. This activity will be placed in the Ski Resort of Grand Valira – Andorra. Our staff will be waiting for you and once you get your snow shoes on, your instructor will give you a briefing and after that you will be ready to walk. comfortable clothing in order to be able to walk during a whole day at your ease. we do not recommend this activity for children under 8 years. Description: This experience is a mixed of adventure for those who love gliding through the cool air in a different surrounding, mushing activity and finishing with snow mobile half an hour, running trip up to the hills. only to drive a SnowMobile it’s necessary to be over 18 years old. as this experience takes place outdoors, it can be affected by extreme weather. If you are in any doubt then please call the centre before heading off. Description: This experience is a mixed of adventure for those who love hiking in a different surrounding, 1hr walk with Snow Shoes, feeling like an Eskimo building an igloo, (1hr 15 mins) riding with a snow mobile running trip up to the hills, having precision with the archery (1hr), sliding on an inflatable donut in a natural snow toboggan (1hr Tubing) and Immersion to Cross Country Skiing for 1hr. 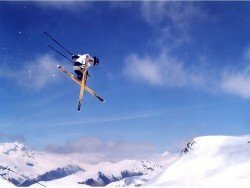 This activity will be placed in the Ski Resort of Grand Valira – Andorra. Our staff will be waiting for you and once you get your snow shoes on, your instructor will give you a briefing and after that you will be ready to start the multi activity package. Arraial do Cabo is a small town in the state of Rio de Janeiro. It is in the northeastern side of the city of Rio, in a distance of approximately 180 km/112 mi. Rio de Janeiro, commonly known as Rio, is the capital city of the Rio de Janeiro State, the second largest city of Brazil and the third largest metropolitan area in South America. Since July 2012, part of the city has been designated by UNESCO as a World Heritage Site in the category of ''cultural landscape''. Astun is located in the source of Aragon river, in the Pyrenees mountains near the borders of Spain with France. The station occupies two high mountain valleys, La Raca and Truchas each of which is accessible by a chairlift. The temperature varies from 2°C/35.6°F to 19°C/66.2°F throughout the year, with January being the coldest and August the warmest month. 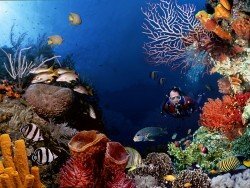 It is an ideal spot for many activities and excursions all around the year.